At UK Poker News, we like to bring you the best deals and here is another! Titan Poker is a top poker room that already offers a host of valuable freerolls – including exclusive Poker News Freerolls – but the real attraction right now is that UK Poker News will credit your new account with a free $50 in cash as soon as you open it with a deposit of $25 or more. That is all there is to it! The cash will be credited to your account 24 to 72 hours later. As Frenchman Remy Elkoubi can testify this week after winning a $100,000 jackpot from playing a few $50 Sit'n'Go tournaments, playing at Titan Poker is a very rewarding experience indeed. 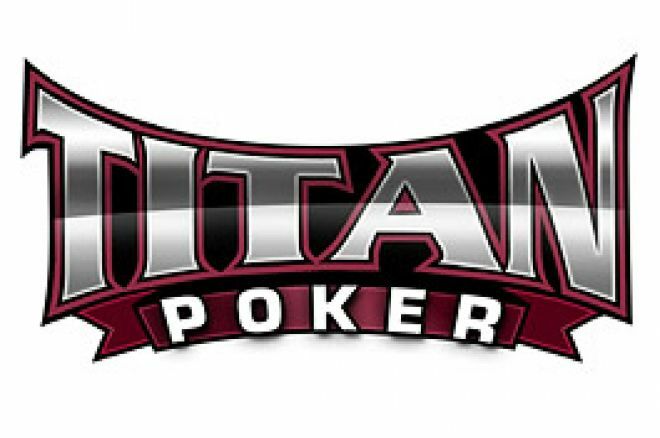 All you have to do to secure your free cash is download Titan Poker, open an account and, using the code UKPNEWS, deposit at least $25 into the account. Your free cash will be deposited into your account between 24 and 72 hours later. There are no wagering requirements necessary before you receive the cash. You can then take a look at this top-notch poker room at Titan and see some cracking cash and tournament games as well as a superb suite of special freerolls including a not-to-be-missed freeroll giving the winner a free passage, accommodation and seat into the prestigious Aussie Millions to be held in Melbourne this coming January. Plus, there is a huge $100,000 guaranteed tournament every month! That's not all. Ring game players can accrue a further 100% bonus, up to $500, which is released to you in $5 tranches as you play poker. You won't find many better deals on the net but with our free no-strings $50 instant cash bonus, how can you go wrong? So, waste no more time! Register with Titan Poker today using deposit code UKPNEWS, deposit $25 or more and you will get another $50 free cash! Ed note: Free $50 cash, Aussie Millions Freerolls and $100,000 jackpots could all be yours after you download Titan Poker using our special UKPNEWS bonus code! Ladbrokes Poker; Children in Need; and the Poker Million!